Write-N-Cite is a plug-in that allows access to your RefWorks account from within Microsoft Word. With Write-N-Cite, you can cite references in your paper with just a click and your paper will instantly format in-text citations, footnotes and your bibliography. The plug-in installs a RefWorks tab in the MS Word ribbon or you can access it from the References tab in Microsoft Word. Download Write-N-Cite from the Tools menu in RefWorks. You will also need to ensure that your computer has the latest version of Microsoft Word, Java, and Visual Studios Tools for Windows. Please note that Write-N-Cite is not currently compatible with Word 2016 for Mac. Mac users with Word 2016 should consult this guide for a workaround. 2. Click RefWorks from the Microsoft Word ribbon. Note: Earlier versions of Word may refer to New RefWorks as Flow. If this is the case, login to Flow. 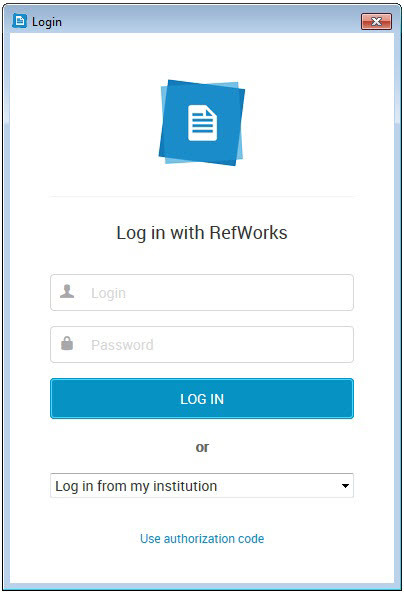 The first time you log in to Write-N-Cite, it will automatically “sync” with your RefWorks library. This may take a few seconds. It is downloading your references and collections. Any time you make changes to your RefWorks items you can click Sync my Database your new and edited items will be added to Write-N-Cite. During this period, you can still access all of Word’s functionality, but the Write-N-Cite functions will not become active until syncing has finished. 1. 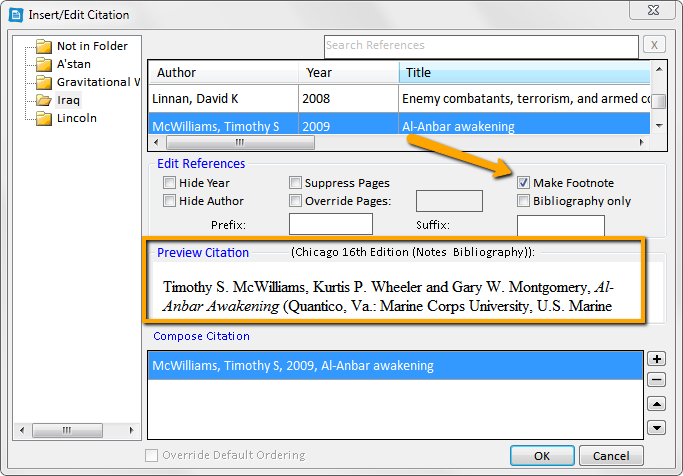 Click the Insert Citation and Insert New option to launch the insert/edit citation box. You can select citations displayed from this list or access all your references from the Insert New option. 2. 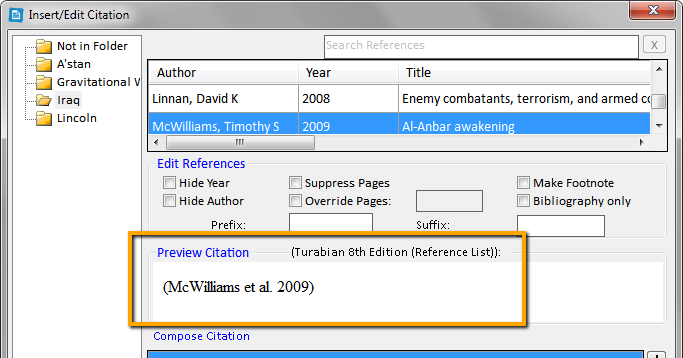 Once the Insert/Edit Citation box displays, you can access your items by Collection or by searching. The Search box will search every field. You can use “AND” and “OR” when using the search box.